Between next Monday's 3 hour Smithsonian Livestream: “The Next Pandemic: Are We Prepared? ", next year's 100th anniversary of the deadliest influenza pandemic on record, and the recent rise in the number of novel flu viruses viewed to have pandemic potential (H7N9, H5N6, H5N8, etc.) - now seems a pretty good time to begin a new series on how we would (or wouldn't) cope during a severe pandemic. Admittedly, not all pandemics are created equal - and as we saw in 2009 - their impact can vary widely. The CDC currently evaluates 14 novel flu viruses for their pandemic potential - ranking two H7N9 viruses (A & B in the chart above) at the top of their severity/impact list. There are other pandemic contenders - including MERS, SARS, Nipah, Pneumonic plague, and even Monkeypox - but novel influenza has the longest, and most worrisome track record. The old Pandemic Severity Index (see graphic below) was adopted in the 2007 Community Strategy for Pandemic Influenza Mitigation plan as a way to quantify the likely impact of any pandemic outbreak. It was based on the initial CFR (Case Fatality Ratio) of the virus, and was modeled in many respects after the 5 category Saffir-Simpson wind scale used for hurricanes. Last April, in PSAF Is The New Pandemic Severity Index, we looked at the revised 2017 CDC/HHS Community Pandemic Mitigation Plan, which provided a new gauge of pandemic intensity based on multiple criteria; the PSAF (Pandemic Severity Assessment Framework). While the 1918 pandemic (upper right) is off by itself in terms of both transmissibility and clinical severity - and resulted in the deaths of between 50 and 100 million people - that isn't necessarily the top of the scale. It is just the worst we've seen in modern times. A moderately severe pandemic - like 1957's H2N2 influenza - could still kill hundreds of thousands of Americans, and millions worldwide. Even in 1918, most people who contracted the Spanish flu survived. Estimates are that up to 50% of the world's population fell ill, but in the United States and Europe the mortality rate was on the order of 2%, meaning that about 650,000 Americans (out of 100 million) perished. Today, with a population triple that of 1918, that number could approach two million. Reports from other parts of the globe, particularly India and Asia, suggested a much higher (10%-15%) toll in 1918, and low resource countries today would almost certainly suffer greater losses in a severe pandemic (see Are We Prepared to Help Low-Resource Populations Mitigate a Severe Pandemic?). While modern medicine - including antibiotics, antivirals, and ventilators - will likely have some impact on a severe pandemic, the expectation is that most medical facilities will be quickly overwhelmed, many HCWs will be out sick or taking care of family members, and medical interventions will be in short supply. The supply chain, which keeps hospitals in IV fluids, disposable gowns, gloves, masks and respirators - and everything from aspirin to oxygen - will quickly falter. The same supply line collapse will likely mirror itself to some degree at your local grocery store and pharmacy. The reality is that 90% of flu cases will never see the inside of a hospital. They will have to be treated at home, by family or friends (see Pandemic Solutions: Flu Buddies). Estimates of the demand for mechanical ventilation in the United States during an influenza pandemic. Meltzer MI1, Patel A2, Ajao A3, Nystrom SV4, Koonin LM5. 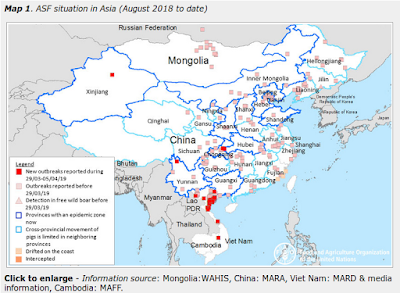 An outbreak in China in April 2013 of human illnesses due to avian influenza A(H7N9) virus provided reason for US public health officials to revisit existing national pandemic response plans. We built a spreadsheet model to examine the potential demand for invasive mechanical ventilation (excluding "rescue therapy" ventilation). We considered scenarios of either 20% or 30% gross influenza clinical attack rate (CAR), with a "low severity" scenario with case fatality rates (CFR) of 0.05%-0.1%, or a "high severity" scenario (CFR: 0.25%-0.5%). We used rates-of-influenza-related illness to calculate the numbers of potential clinical cases, hospitalizations, admissions to intensive care units, and need for mechanical ventilation. We assumed 10 days ventilator use per ventilated patient, 13% of total ventilator demand will occur at peak, and a 33.7% weighted average mortality risk while on a ventilator. At peak, for a 20% CAR, low severity scenario, an additional 7000 to 11,000 ventilators will be needed, averting a pandemic total of 35,000 to 55,000 deaths. A 30% CAR, high severity scenario, will need approximately 35,000 to 60,500 additional ventilators, averting a pandemic total 178,000 to 308,000 deaths. Estimates of deaths averted may not be realized because successful ventilation also depends on sufficient numbers of suitably trained staff, needed supplies (eg, drugs, reliable oxygen sources, suction apparatus, circuits, and monitoring equipment) and timely ability to match access to ventilators with critically ill cases. There is a clear challenge to plan and prepare to meet demands for mechanical ventilators for a future severe pandemic. Worth noting, the `severe' scenario presented - a 30% attack rate and a CFR of .5% - is nowhere near the severity seen in 1918 (CFR of 2%), and could potentially be dwarfed by an avian flu pandemic with even a higher attack or mortality rate. Even so, their scenario finds without the unlikely rapid addition of 35,000 to 60,500 ventilators (and trained staff, oxygen, drugs, and electricity to run them), 200,000 to 300,000 Americans would die for the lack of ventilator resources. And this opens up the thorny problem of who gets a ventilator, and for how long? When do you withdraw ventilator support from one patient in order to give it to another? Who makes these decisions? And how will the public react to the heartbreaking realities of triage during a pandemic? These are topics we visited repeatedly back in 2008 (see Ventilator Triage During A Pandemic , Triage In A Pandemic , Fear And Loathing Of Pandemic Triage, and The Allocation of Medical Resources) and while new guidelines have been published, answers remain murky. While the Adult Guidelines developed by the Task Force and the 2006 and 2009 Adult Clinical Workgroups assist a triage officer/committee as they evaluate potential patients for ventilator therapy, decisions regarding treatment should be made on an individual (patient) basis, and all relevant clinical factors should be considered. A triage decision is not performed in a vacuum; instead, it is an adaptive process, based on fluctuating resources and the overall health of a patient. Examining each patient within the context of his/her health status and of available resources provides a more flexible decision-making process, which results in a fair, equitable plan that saves the most lives. Adding to the confusion, standards and guidelines will vary from one state to the next, and none have the benefit of having ever been tested under real pandemic conditions. Not to disparage the work that has gone into them, but the old adage that `No battle plan survives contact with the enemy' comes to mind. These are issues that as a society, we don't tend to think about. We assume there will be a hospital bed, or ventilator, or medicines available to treat us if we need it. But in a severe pandemic we could find our medical infrastructure seriously overwhelmed, and those things we take for granted quickly unavailable. One take away is the very last job you would want to take on in a severe pandemic is that of a hospital's triage officer, or member of a triage committee. And yet, many people will be called upon to make those horrendously difficult decisions. While you may be one of the lucky 50%-70% who are not infected, or among the 90% who only experience mild or moderate illness, a severe pandemic could still compromise your access to medical care. Routine surgeries, cancer treatments, dialysis, regular doctor's office visits and getting routine prescriptions from the pharmacy could all be severely affected. In the months to come we'll look at other possible impacts of a severe pandemic on our society. In the meantime, now would be a very good time to talk with family, friends, and neighbors on how you would deal - and help one another - with a pandemic (or any other disaster) should it come our way. I am especially worried about if there will be any dental help during a pandemic. We are so dependent on dentists, but to be honest, in an influenza pandemic the wise thing to do for a dentist would be to quit the job. They will be in extremely high demand! How do we keep our dentists working with special arrangements? Do we have enough hazmat suits for them? The good news is that pandemic waves historically tend to last 6 to 12 weeks in any given area, followed by a `quiet' period of several months. That would provide `safer' windows of opportunity for dental work, and other risky activities. The bad news is community mitigation using NPIs may stretch out those pandemic waves (flatten the curve), and might shorten the intra-wave periods. In any event, I'd suggest not putting off any dental work, and having an emergency dental repair kit in with your first aid supplies. Spoiler alert: PPEs are going to be a big problem, and not just for dentists.